This weekend marks the return of road racing to Northern Europe, with the traditional season-openers Omloop Het Nieuwsblad and Kuurne-Brussels-Kuurne getting the show started. The weather is usually grim, the riders all get muddy and the fans will likely be frozen to the core – but that’s what these early spring races are all about. If you’re not familiar with this weekend’s Belgian semi-classics, then here are a few things you should know about the two races. Every year, like many other cycling fans, I get a little bit excited when Het Nieuwsblad weekend rolls around. Not because the race is a standout on the calendar – in fact I often forget to even tune in for either race – but because it’s the start of my favourite time of the year. 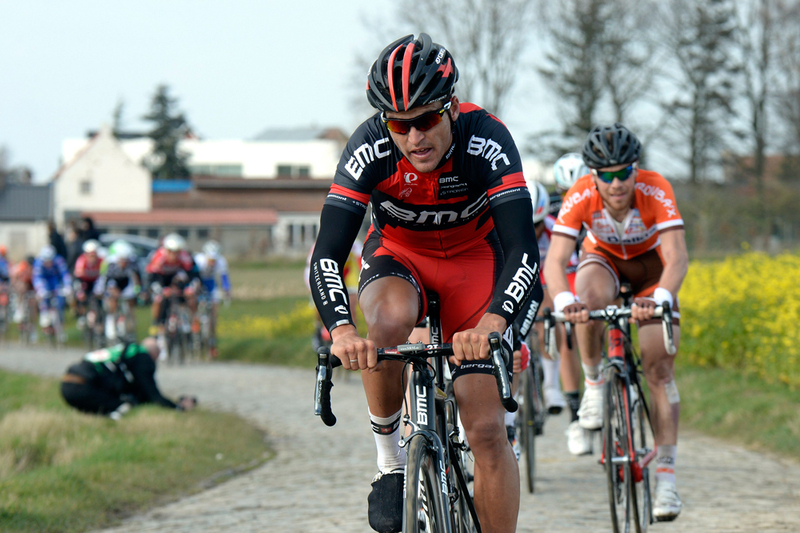 The Spring Classics have something for everyone: sprints, hills, cobbles and crashes. The pure unpredictability of the racing in Northern Europe means that it often throws up some surprising winners. Indeed, Team Sky’s Ian Stannard took a somewhat unlikely victory at Het Nieuwsblad last year, beating out Classics heavyweights like Greg van Avermaet, Sep Vanmarcke and Niki Terpstra. Het Nieuwsblad and KBK signal the start of strongman races and give a strong indication as to which of the Classics riders are in shape ahead of the first Monuments of the year. The Belgian riders love these races. In the 69 editions of Omloop Het Nieuwsblad 54 of them have been won by Belgian riders. 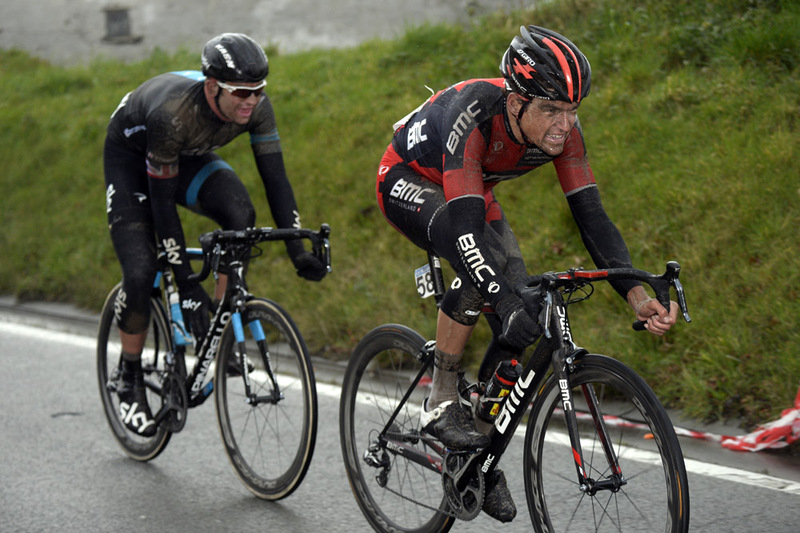 Ernest Sterckx, Joseph Bruyere and Peter Van Petegem are tied on three wins each, while Stannard became the first British winner last year. Equally, KBK has seen 51 Belgian winners in 66 editions – Tom Boonen has three wins and counting – and Britain’s only winner was Mark Cavendish in 2012. Like many famous bike races, Het Nieuwsblad’s history comes from an attempt to sell more newspapers. Until 2008 the race was called Omloop Het Volk, but when that newspaper went out of circulation Het Nieuwsblad – which already ran the Tour of Flanders – took over the reins. Both races began their existences in 1945 but KBK has a history of being friendlier to the sprinters in the pack, thanks to the less demanding parcours. The name Kuurne-Brussels-Kuurne is, indeed, a little misleading as the race does not actually reach the Belgian capital, instead turning back around 25km away near Galmaarden. Boonen took his record third win last season ahead of Moreno Hofland and Vanmarcke and will surely be looking to seal his fourth title in eight years on Sunday. With the start and finish of Het Nieuwsblad being in Ghent, the route features many of the same climbs as the Tour of Flanders. While there are some short, sharp climbs between the 70km to 100km mark, a succession of hills and cobbles after 140km really test the riders legs and their team’s tactics. The Kruisberg is followed by the Taaienberg, Eikenberg and the Wolvenberg, with the tough cobbled sectors of Donderij and Hof ter Fiennestraat thrown in for good measure. KBK, on the other hand, sees its first climb come within the opening 50km with the Edelareberg testing how much the riders have recovered from their exertions the previous day. Then comes the series of challenging hills and descents, starting with La Houppe and not stopping until the Kanarieberg, Kruisberg, Oude Kwaremont, Knokteberg, Tiegemberg and Nokereberg have been overcome. After that, the route is virtually pan flat for the final 60km, allowing the sprinters to tussle it out for the win, assuming they’ve all conquered the hills with the main pack. The big news, I suppose, is that Sir Bradley Wiggins is in Team Sky’s squad for Het Nieuwsblad as he continues his preparation for his season-defining Paris-Roubaix tilt. Wiggo won’t have it all his own way in Flanders, however, with Stannard looking to lead Sky to victory again, and perennial Classics favourite Tom Boonen lining up for Etixx – Quick-Step. Vanmarcke, winner in 2012, lines up for LottoNL-Jumbo, with Philippe Gilbert (2006 and 2008) the only other former winner in the peloton. Belgium’s dominance in the race has diminished somewhat in recent years, with only two winners since 2007, meaning it could be set up for another outsider to take the spoils. 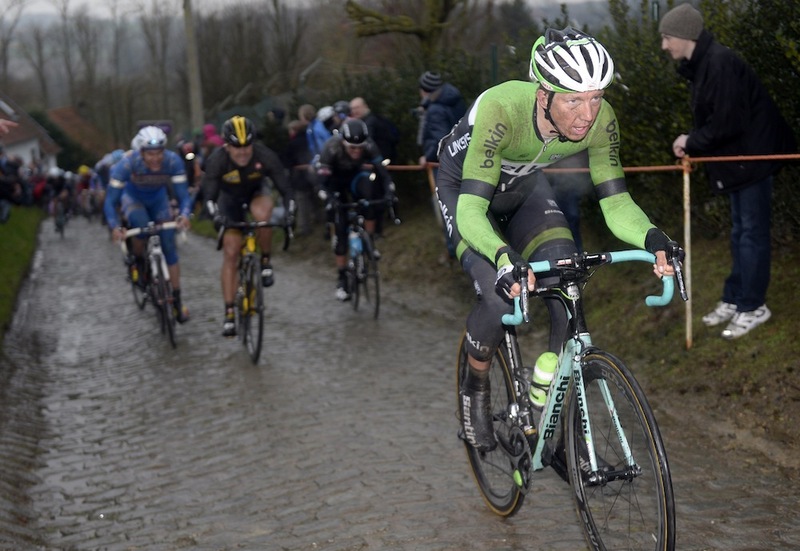 KBK, meanwhile, is a bit more difficult to predict. Many teams, like Sky, will not announce their lineup until Saturday night when the Het Nieuwsblad riders report back on their fitness levels. It’s likely, however, that many teams will line up with virtually the same lineups as the day before, with Etixx seeing five of their squad in the top-10 last season, they will be looking to dominate once again.